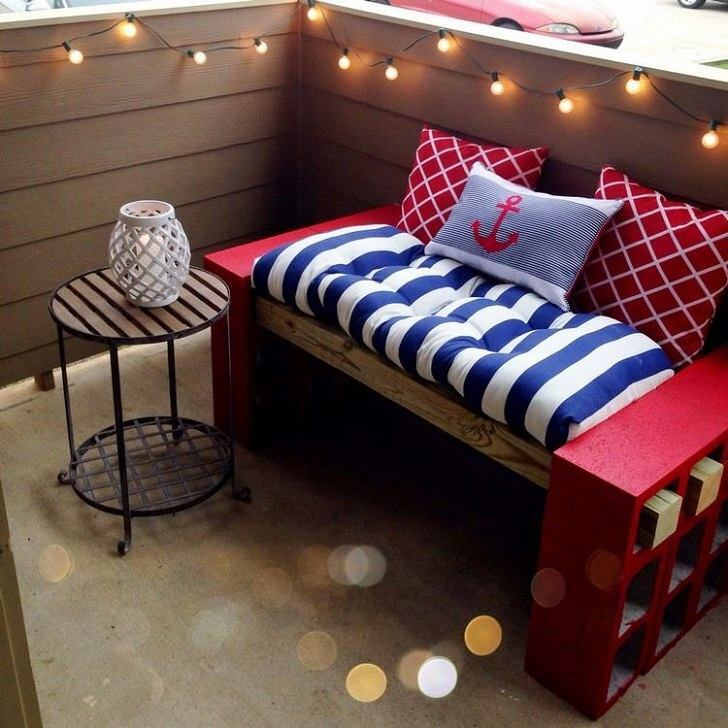 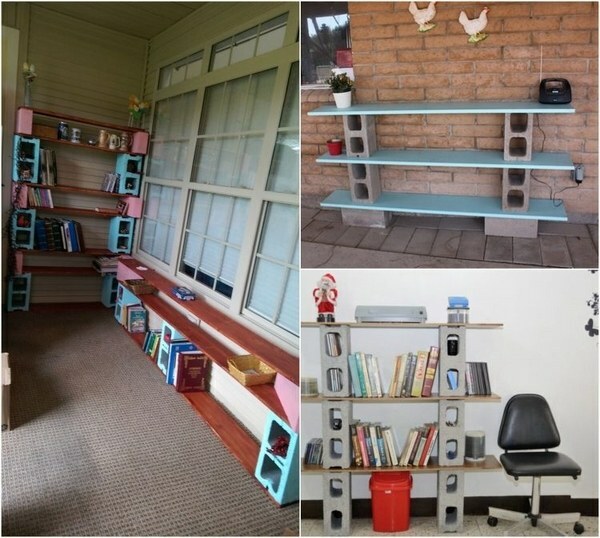 Cinder block furniture ideas can be inspiring to all DIY lovers as they combine creativity and originality. 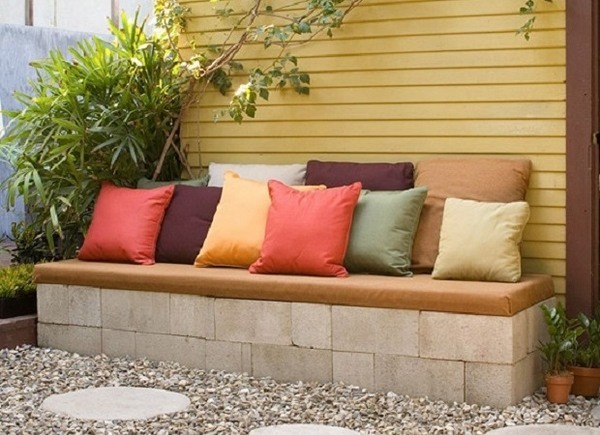 Cinder blocks offer the advantage to be a versatile and very durable material and can be used in numerous ways – cinder block retaining wall , foundations, walls and structures, fire pits and fireplaces, privacy walls, garden walls, raised garden beds, planter boxes, garden benches, etc. 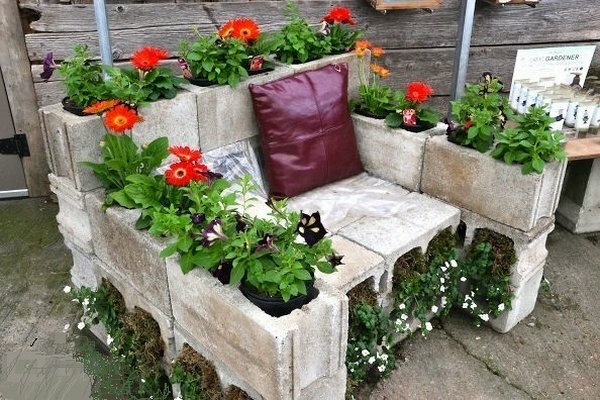 Cinder blocks are a good material for interesting projects and you can use them to make different furniture pieces for your home and garden. 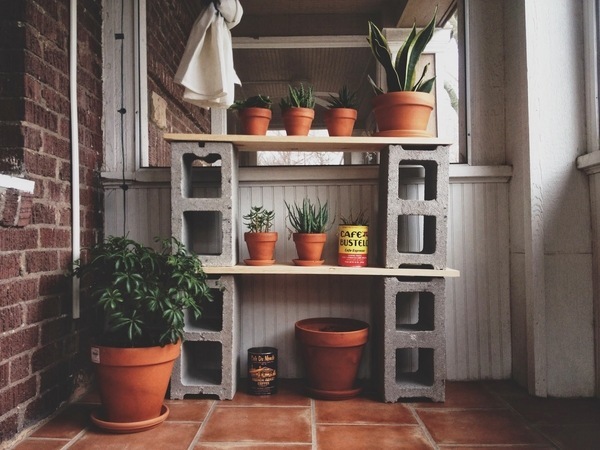 Thanks to the good thermal insulating properties and low cost, cinder blocks have become a very popular material. 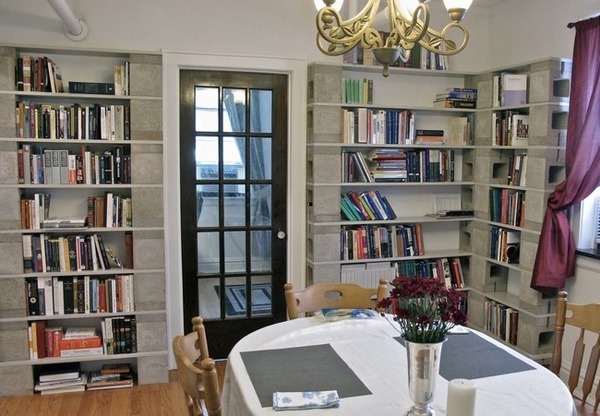 Often, after the construction work is complete you may end up with a certain amount of unused blocks. 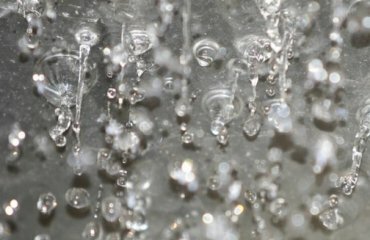 Many people wonder what can be made from the remnants of the material. 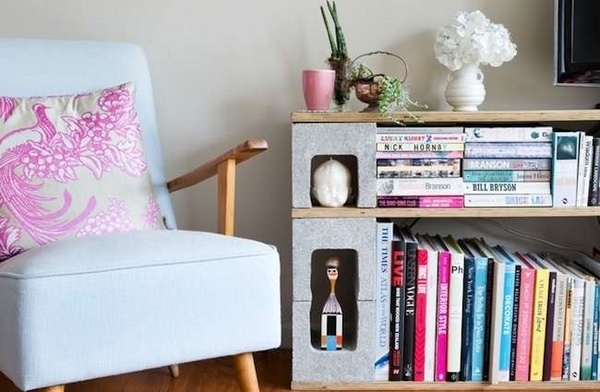 We have selected some interesting cinder block furniture ideas which you can use as an inspiration and guidelines for your own creative thinking. 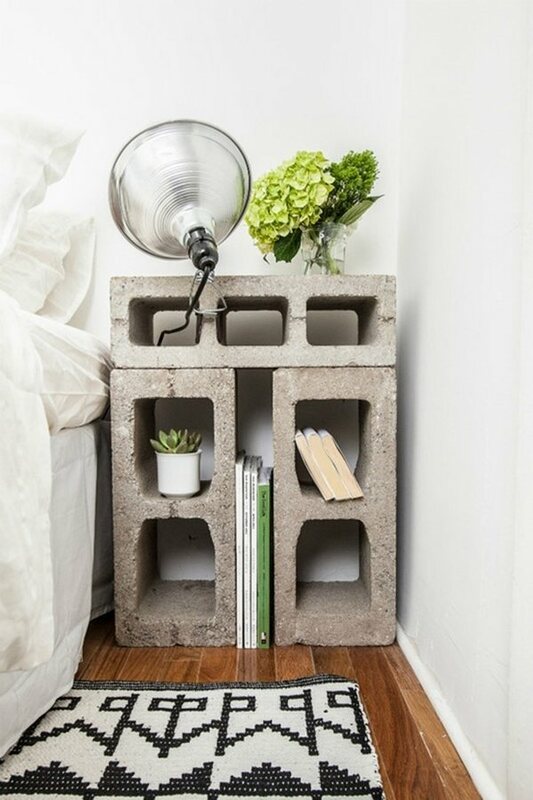 Concrete blocks are one of the most affordable materials and you can use a few blocks which you bought second hand. 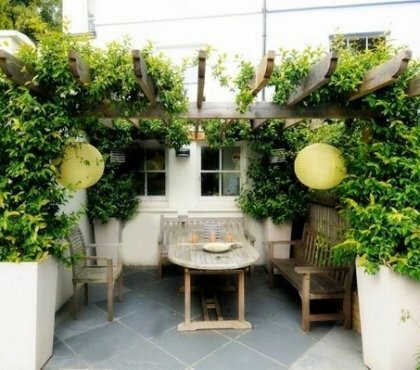 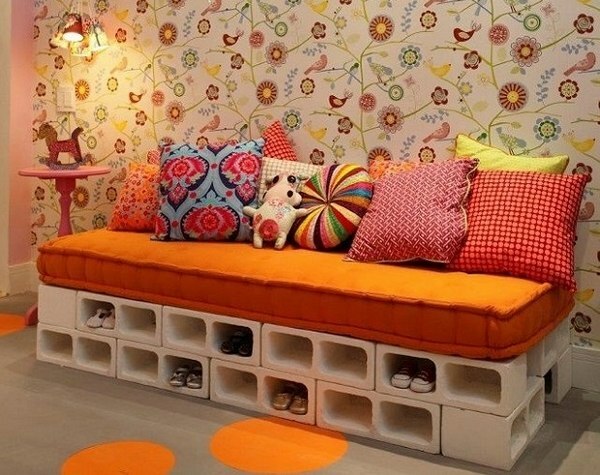 Although concrete blocks are used mainly as a building material, they are very handy for many concrete block furniture ideas. 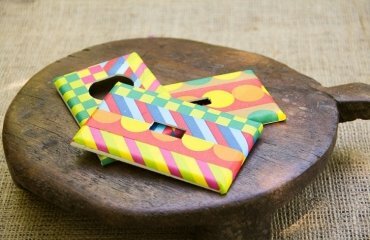 The blocks have one or more hollow cavities, and their sides may be cast smooth or with a design. 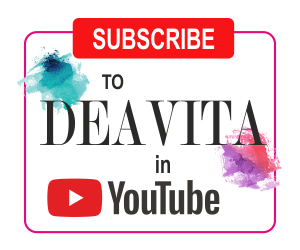 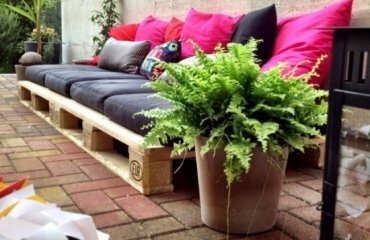 You will see how creatively cinder blocks become a platform for a bed, an armchair in the garden or a bench for the patio. 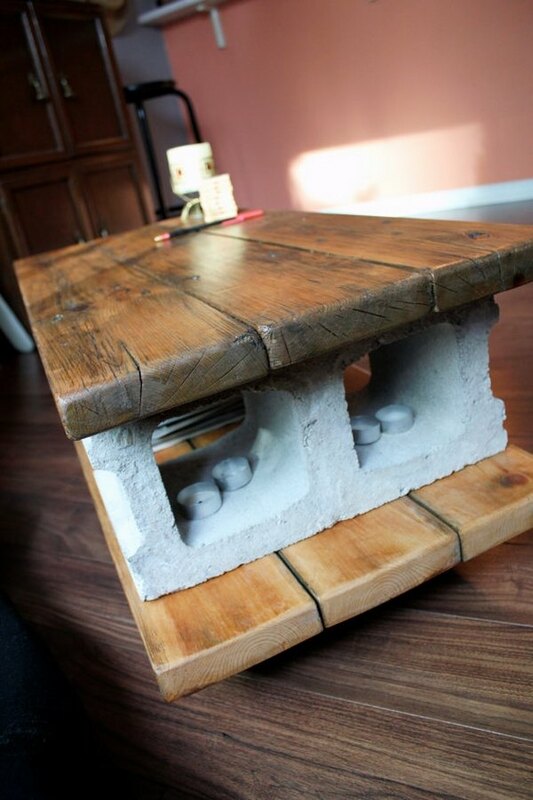 Crafting a concrete block table is very easy and you can complete such a project in a Sunday afternoon. 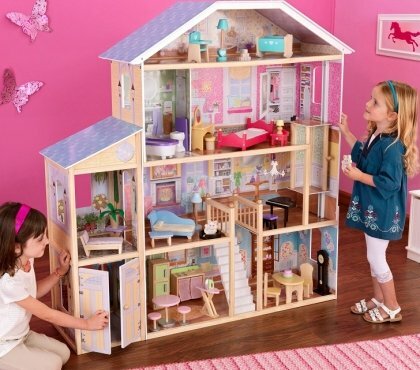 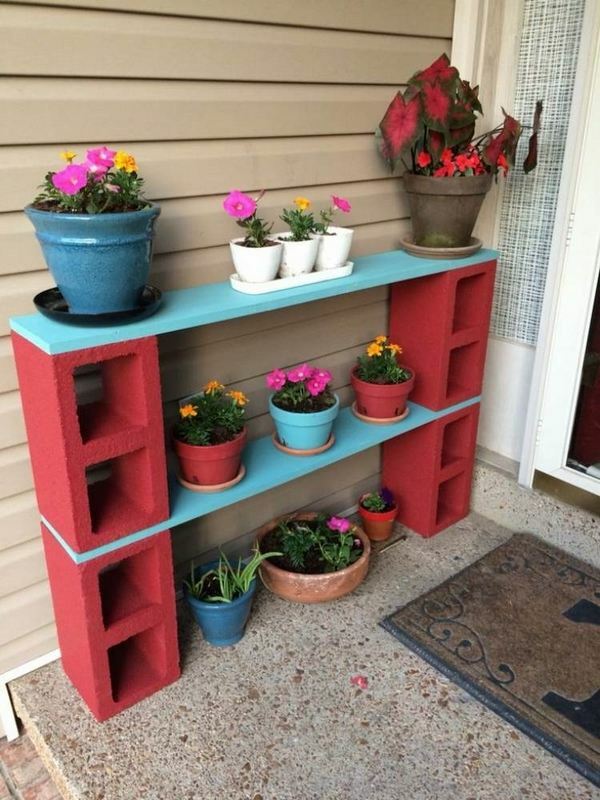 All you need is a few cinder blocks for a base and a tabletop. 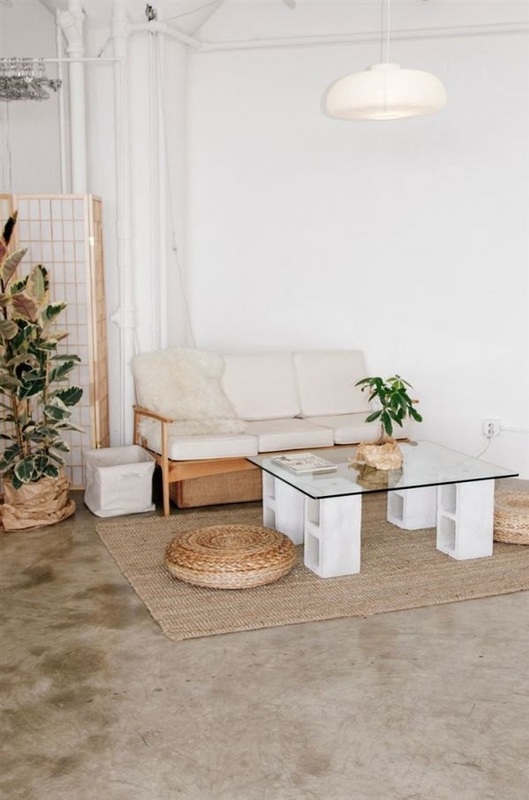 When you construct a cinder block coffee table for indoors you can add a glass table top for a more refined look or a solid wood table top when you want a garden table. 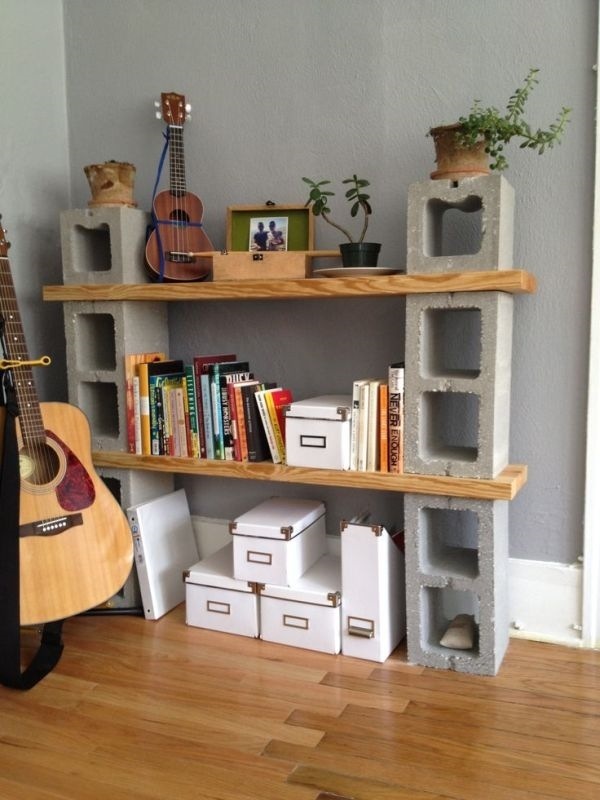 The aesthetic properties of concrete blocks can be used in many creative and original ways. 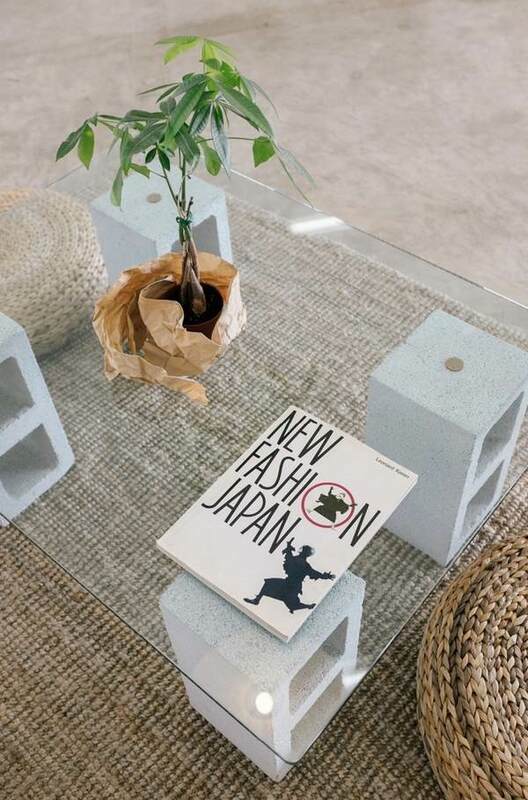 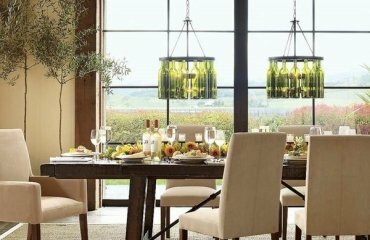 Nowadays they are manufactured in different colors, textures and finishes and depending on your idea and project you can create furniture pieces that will work with interiors in different styles – Industrial, rustic, eclectic, etc. 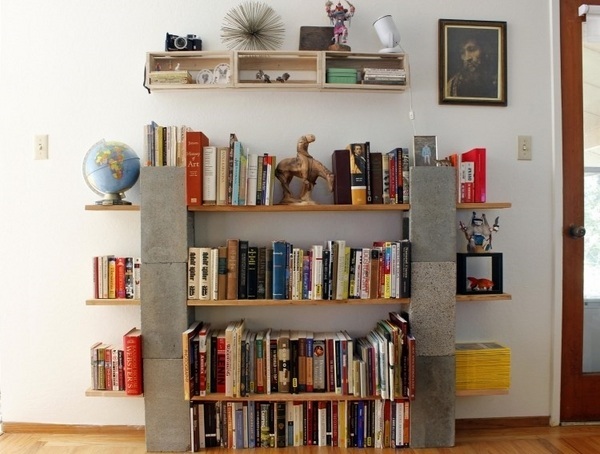 One of the simplest and easiest cinder block furniture ideas is to use the blocks to make a bookshelf. 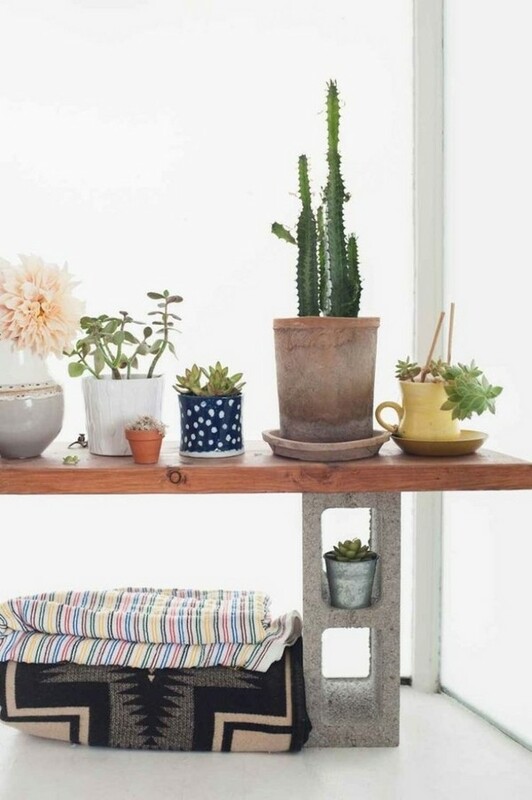 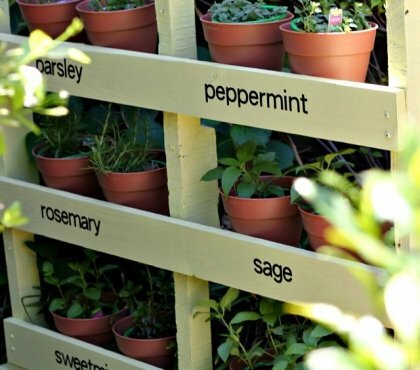 The idea is simple but functional and all you need to do is to stack the cinder blocks to the desired height and arrange wood planks. 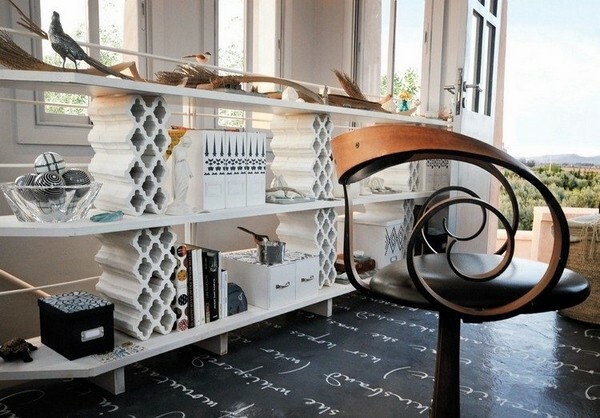 Using the same simple method you can construct a desk for the home office. 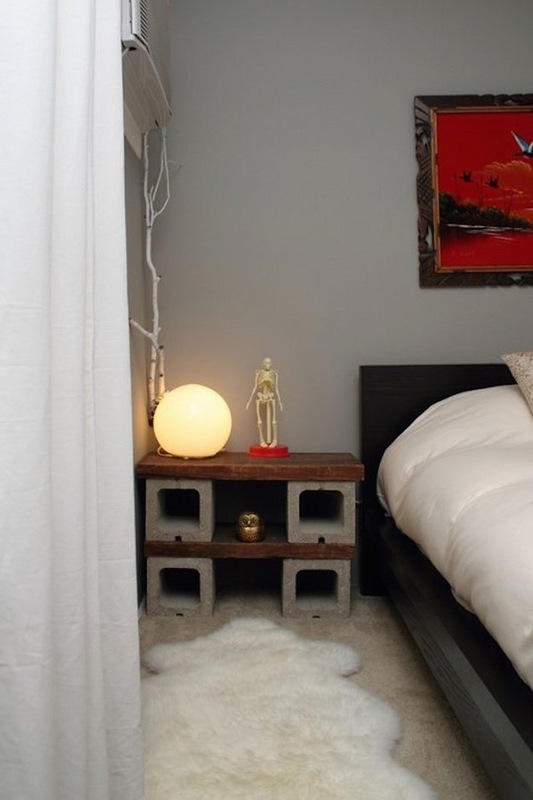 How about using cinder blocks to make a nightstand? 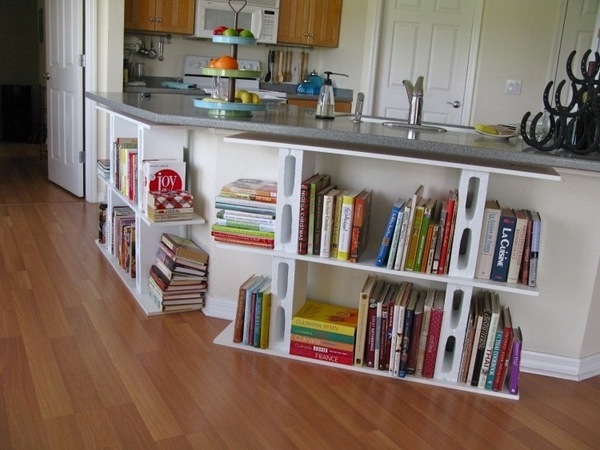 You can leave the cavities open and use the space as is, or add small drawers to keep your belongings at hand. 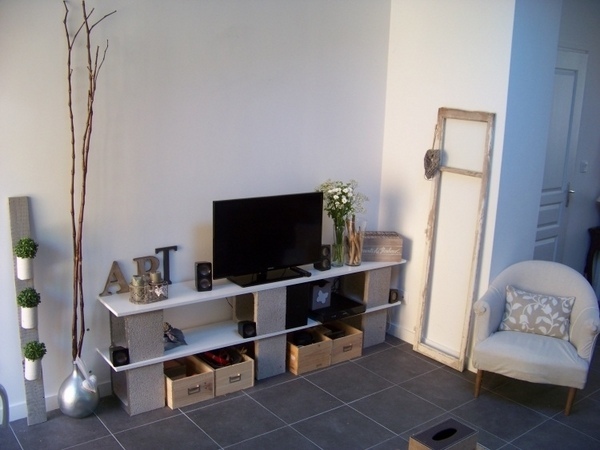 Enjoy the creative concrete block furniture ideas in the gallery below and get inspired for your own project!